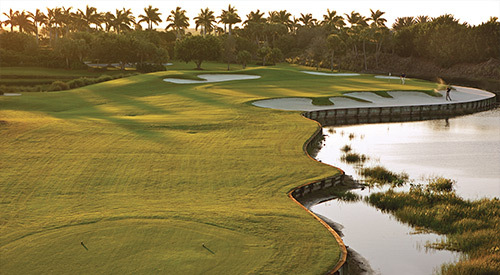 Designed by Greg Norman, Tiburón plays like a British Open links course, firm and fast. Home of the QBE Shootout and certified as an Audubon Cooperative Sanctuary, Tiburón reflects Norman’s appreciation for pristine, natural settings... and his passion for great golf. 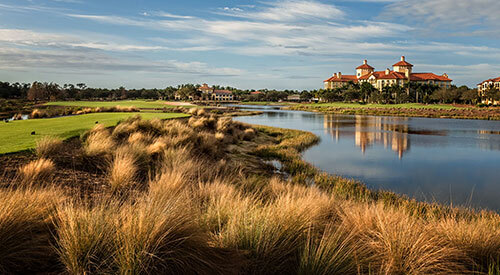 It boasts a unique combination of stacked sod wall bunkers, an absence of rough, spectacular green surrounds and devilishly tricky coquina shell waste areas. Kensington will heighten your passion for the great game of golf. 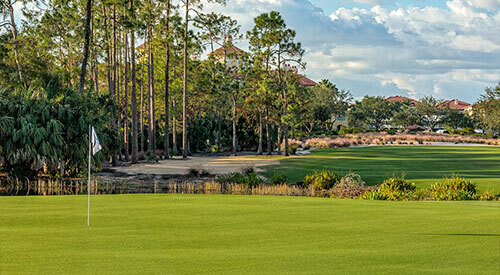 The community boasts a remarkable 18-hole championship course designed by renowned architect Robert Trent Jones Jr. 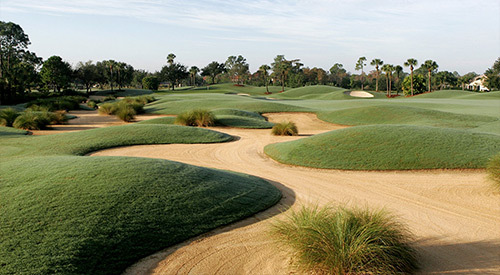 The course is a 6,879 yard, par 71 masterpiece with multiple tee locations and pin positions that are designed to not only challenge golfers of all levels but to keep the game fun and interesting no matter how often you play. 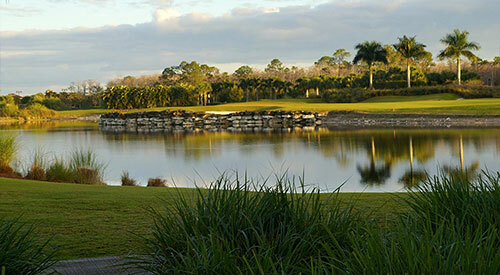 Raptor Bay Golf Club sought the expertise of golf legend Raymond Floyd to design this 18-hole golf course. Fairways are very wide and feature one height of cut throughout the course. Surrounding the course are 22 acres of lakes and more than 200 acres of native vegetation and nature preserve areas, giving some lucky guests a chance to glimpse a bald eagle or gopher tortoise. The private 18 hole championship golf course at The Quarry, designed by the award winning partnership of Hurdzan–Fry, and opened in January 2007, is a masterful creation of ‘links style’ golf extending over 7300 yards. 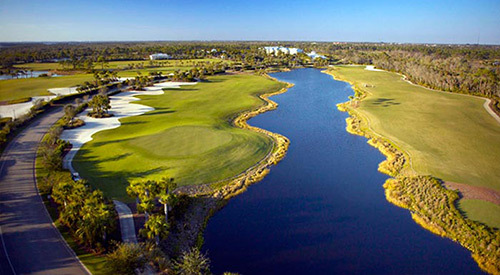 With five sets of tees, the course offers a challenge for players of all abilities in a naturally scenic setting, encompassing vast expanses of sparkling lakes and pristine preserves.